I have this fond memory of being a child and my mom making Crepes on Sundays. She would fill them with jelly and top them with powdered sugar and they were so good! 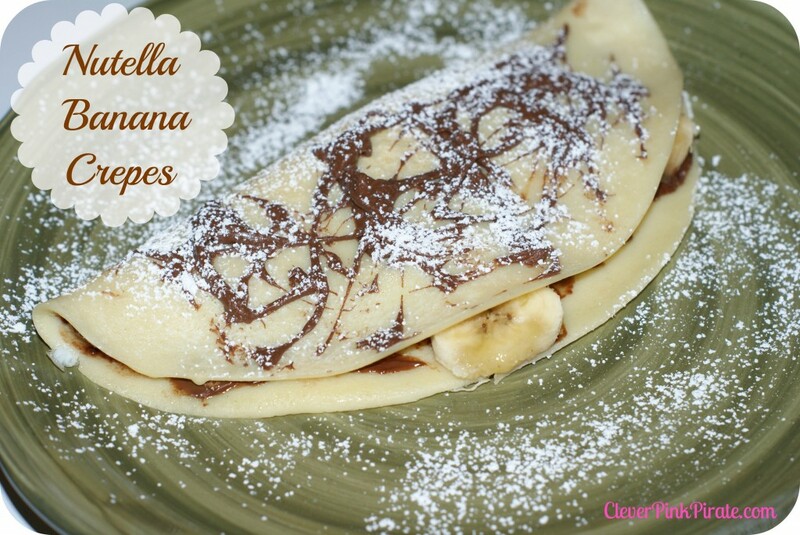 I haven’t made Crepes in a while but I made these Nutella Banana Crepes for Brinner (which is breakfast for dinner) last night and really, it was like having dinner and dessert all in one! It definitely satisfied my chocolate cravings! You don’t need a special talent or pan to make crepes, I did this in a flat Wok pan it was simple! Mix together milk, oil and eggs until well blended. Slowly mix in flour until well blended. Slowly pour approx 1/4 cup into a heated skillet or griddle. Crepes are meant to be thin, be sure to not oversize it so it is still easy to flip. Cook on each side for approx 30 seconds. 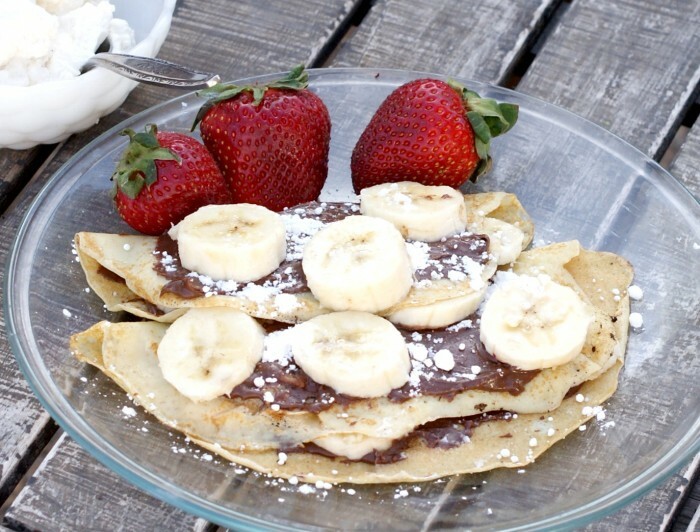 Fill each crepe with Nutella by spreading it on half of the crepe, then add sliced bananas and fold over. Heat a few tablespoons of Nutella in the microwave on approx 35 seconds so it is easy to garnish on the top. 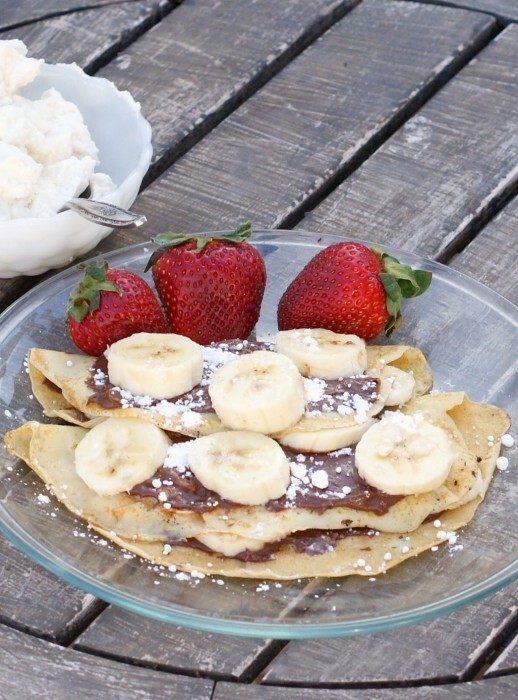 Take a spoon and fill with heated Nutella, spreading across the top of the crepe. Finish with sprinkled powdered sugar, enjoy! I found this link from tatortotsandjello.com. I can’t wait to try this recipe since I actually have a crepe pan that I’ve never used. My kids love Nutella and bananas! Thanks for sharing. Wow, that looks so delicious! 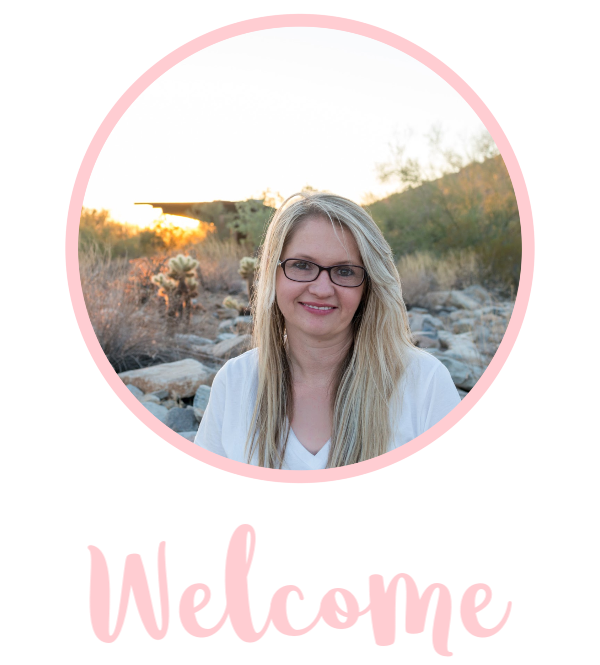 Thanks for sharing and thanks so much for linking up to our Pretty Things Party! I hope you’ll be back next week!